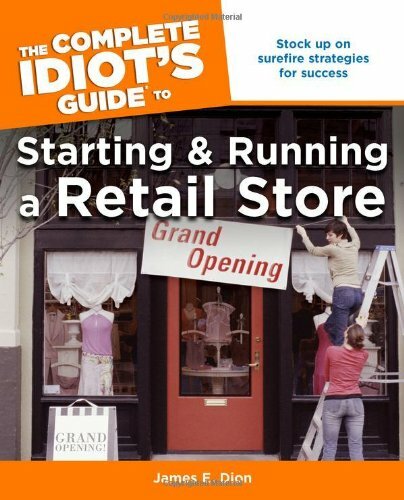 After spending almost a decade working as a manager in the retail industry there were several strategies and tactics that I was exposed to. Fortunately, I had the opportunity to put some of these strategies and tactics into practice. 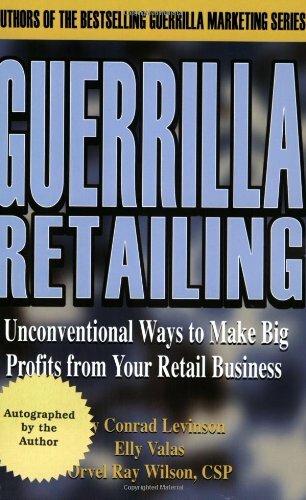 Believe it or not, some of the business strategies that I learned can be applied to any type of business outside of the retail sector. With that said, listed below are the 5 things that my retail management experience taught me that I think can be applied in any type of business. If you ever watch the TV show Shark Tank, then you know that the first thing that the investors inquire about is sales. It is usually the determining factor on whether someone will get an investment from the investors. 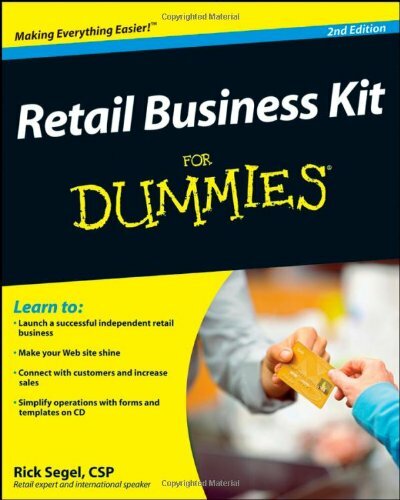 When it comes to the retail industry if you do not have sales then you are pretty much out of business. Without sales you cannot pay salaries, rent, utilities or any type of operating costs. This is why as a manager my focus was on stocking products that my customers wanted or needed. As long as I did this then I would not have to worry about covering my employees salaries and operating costs because I would always have sales. As a business owner you should focus first and foremost on generating sales. I am not saying that you should be a con-artist trying to take advantage of people just for a sale. On the contrary, you should be trying to provide a product or service that will genuinely benefit your customer while generating a profit. Products - Knowing what products your customers want or need. Pricing - Understanding how much your customers are willing to pay for the products that they want or need. Advertsing and Promotions - Letting your customers know that you have the products that they want or need. Distribution - Getting the products that your customers want or need to them. If your business is able to promote the right products at the right price and get it into the hands of your customers, then your business will have no problems with sales. The retail industry is known for its ridiculously low profit margins. On average, for every $1 in sales retailers make only 3 cents of it goes towards the bottom line or net profit. Walmart, a huge retailer, had over $440 billion in sales in 2012 yet their net profit was just under $ 16 billion. However, there is a big difference between net profit and gross profit. Gross profit is simply the difference between sales and the cost of products sold. Net profit is the difference between sales less the cost of products sold, salaries, administrative costs, and other types of operating costs. In order to increase profits retailers heavily promote products with high gross profit margins in the most visible locations in the store. Nevertheless, if the cutsomer does not want these high profit items, then stores are just wasting valuable display space. Customers really do not care about your profit margins. All customers care about is buying something that they want or need. Ultimately, you have retailers sacrifice sales chasing a higher gross profit. Which one would you rather have? A sale with a lower gross profit or no sale of a product with a higher gross. Of course, you would rather have sales versus no sales. Businesses should continue selling products with low profit margins that are popular with their customers. If you have a good product that people are willing to buy, then why would you stop selling it. If you really think about it there are several ways to increase the profit of your product including reducing manufacturing costs or building in additional features to justify a price increase. There were times when I would merchandise a product in a certain location of the store where I thought it would sell and it didn't. So I would change the location of the item. Sometimes the sales of the item would actually improve. If after multiple location changes I had no improvement in sales, then I would tweak the signage. In addition to that, I would display a working model of the product. If none of those tactics worked, then, ultimately, I would have to decrease the price. If you are promoting something that is not selling, then maybe you need to change the packaging or presentation. Maybe you need to change the way you are selling it. It is possible that you are promoting or advertising your product to the wrong market. Maybe your price point is keeping buyers away from purchasing your product. If your product is still not selling after making certain changes, then maybe there is not a market for your product. It has been proven time and time again that less is more when it comes to merchandising for sales. I was able to increase sales on certain displays by simply reducing my customer's choices versus reducing the price. Typically, in my store, displays that featured 1 or 2 products out sold displays featuring 2 or more. This concept is no different in any other industries. If customers have too many choices, then they become indecisive and do not buy. With that said, you should really think about limiting your product or service offerings to increase your sales. When a customer is able to see how a product or service works then they are more likely to buy. The biggest reason "As Seen On TV" products sell is because customers are able to see a live product demonstration. Typically, in my store, the products that sold extremely well were products that customers could try out or see how it worked. If you have a product or service that you are trying to sell, then you should demonstrate how the product or service works. You could give a live demonstration or create a video demo. You can even give your potential customers a free trial with an option to buy at the end of the trial. Which one of these strategies or ideas do you think that you could implement in your business? Also in the comments section below share what strategies, tactics, or ideas you have learned from past experiences that can be used in any business situation.